I am sorry to report that there is no information on the series premiere of Quirke on BBC1 yet, but there is still lots of news to share! And once the date is announced, you will definitely see it here. 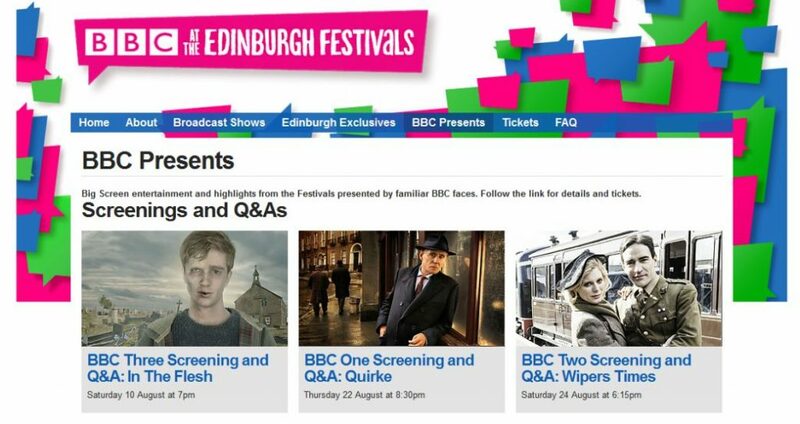 And here is the main Quirke page at the BBC. It is rather bare at the moment but we have hope for it! The venue filled up slowly and surprisingly only to about 70% capacity. I’ve no idea if it wasn’t well publicised or maybe it just clashed with other events – there’s quite a lot on in Edinburgh at this time of year! There was only a brief voice-over introduction before we went straight into the screening. 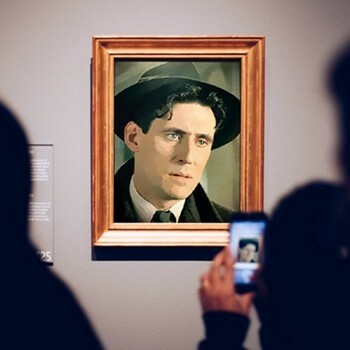 Non-spoilery summary of the plot – Quirke goes to his pathology office late at night and finds his brother Mal signing off a death certificate for a girl called Christine Falls. His suspicions are aroused and an autopsy shows she died in childbirth rather than the pulmonary embolism his brother put as cause of death. Finding out what happened to Christine and her child and how his brother is involved will mean uncovering secrets not only about the local convent for unwed mothers but a few that hit slightly closer to home and some Quirke himself would rather stayed unrevealed. 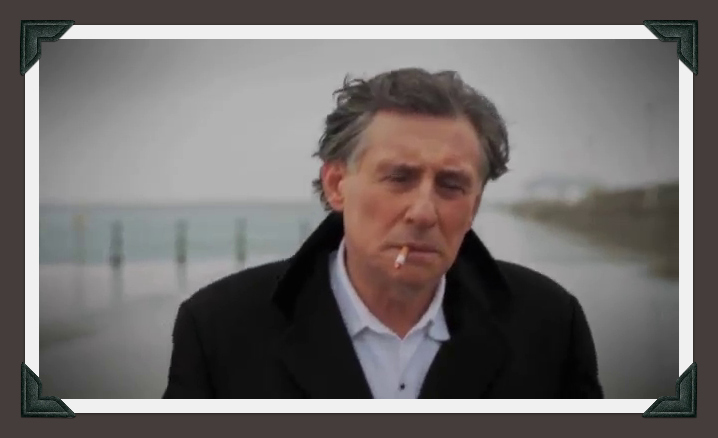 Gabriel Byrne completely inhabits the role of Quirke. It’s definitely his show – he’s rarely off screen. 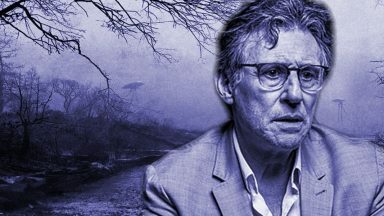 His rugged features and ability to convey complex emotions with minimal movement are perfectly suited to the whole gritty, noir feeling of the piece and are particularly effective in tight close-ups, which I’m sure will delight readers of this site. wink His character is instantly likeable and effortlessly charismatic. You’re on his side right away. 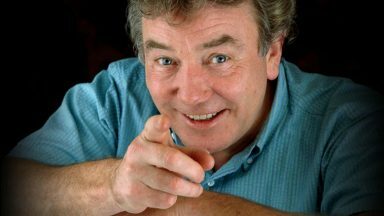 He’s very ably assisted by Nick Dunning [Note from Stella: @Nick_Dunning on Twitter] as his more uptight, straight-laced brother, Mal. They have a lot of scenes together which crackle with the kind of tension you only get between rival siblings. Surprisingly I thought Michael Gambon as their father was one of the weaker links in an otherwise strong cast – to be fair though, his part is not a very large one. The show is beautifully shot and composed. There’s a very strong sense of time and place throughout the whole thing which really helps draw you into the story. Everybody smokes, the men wear hats (which I love – Mr Byrne definitely suits the suits) and women are generally seen but not really heard. This last point is an unfortunate one. There are female roles – and they’re very well played – but it’s definitely a man’s world. However, again that is a strong and fitting indicator of the time it’s set. Perhaps there will be more female presence in other episodes. The pace was good – quite slow but that was definitely the best for the story. I never thought it was dragging and my attention was held for the full 90 minutes. Some of the story was a little predictable but it was told and acted so well I didn’t mind the lack of any real twists. I’m definitely looking forward to re-watching this episode and seeing the other two and a large part of that is down to Mr Byrne’s performance. 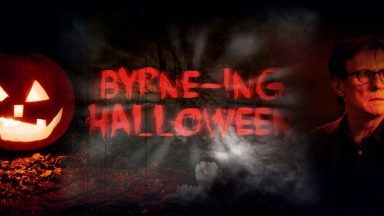 I’m sure it will win him a lot of new fans and anybody who is already a fan of Mr Byrne will be delighted with Quirke. I hope you get to see it soon! (Sorry, I didn’t catch names, there was the producer, the lady who adapted the script and Nick Dunning) [Note from Stella: that would be Kate Harwood, BBC Productions Head of Drama, and script editor Catherine Moulton. The script for this episode was written by Andrew Davies]. What made them decide to adapt these books? Primarily they were inspired by the success of Wallander and looked for similar stories that hadn’t been told yet. Finding out who owned the rights and then negotiating to get them took a while but as soon as Gabriel was attached the rest of the process went very quickly! Gabriel is not really like the book description of Quirke (Quirke is “shorter, blonder and chunkier”) but he was very keen and of course they were keen to have him. They were also pleased to get Nick who they thought plays his brother very convincingly. Nick pronounced himself very flattered by the comparison to Gabriel! He lives in Dublin which was very nice for shooting. He thinks his character, Mal [note from Stella: Malachy Griffin in the books], is like a “butterfly stuck in aspic”. He’s a man stuck in time and pulled in lots of directions by family, duty and convention. Mal is Quirke’s polar opposite so he was fascinating to play and it was great to work opposite Gabriel in every sense of the word. Was the adapter intimidated by the strong book fandom? No, she felt challenged by it and felt a strong duty to the material. Fortunately they were able (particularly with the first episode) to stick quite close to the book so it was very easy. She also had a good working relationship with the author who was on hand to consult. Dublin was very easy to film in since the centre of it has not changed much. 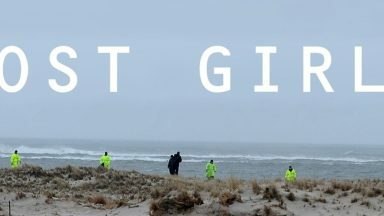 One Irish lady in the audience complimented them on the very authentic language and asked if scenes set in Boston were also shot in Dublin – yes they were, or just outside it at least. They had looked at filming abroad but expenses ruled it out. Was the very sparse look and feel (e.g. streets with only one car on them) deliberate or a side effect of budget? The director is a former documentary director – that’s his style. Everything was very carefully composed. The time (1950’s) had very closed feeling to it which was also easy to evoke by keeping the filming tight. When will it be on? They don’t know. Because it’s 90 minutes and can’t start earlier than 9:00 due to the watershed it would mean moving the 10 o’clock news and on a Sunday that would then mean moving Match of the Day – and nothing clashes with football. So they’re still discussing it with the BBC. Was it originally planned to be 90 minutes? No it was going to be 2×60 but they changed it since one block of 90 gives more time to gradually develop the story without worrying about having to have a “hook” in the middle to get people to tune in again next week. 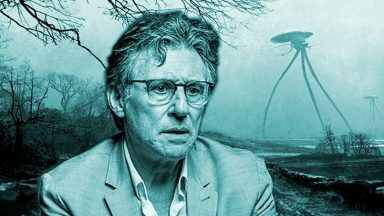 Many thanks to Al for this wonderfully in-depth review of the preview and the panel! You know us well, Al! smile Thanks so much for sharing. 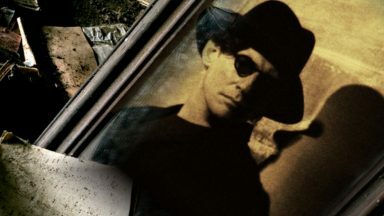 Byrne, who grew up on the southern fringe of Dublin in the 1950s before moving to the US in the 1980s, says the location manager (Ripper Street’s Edmund Sampson) had an uncanny habit of disinterring his own half forgotten memories of the city. 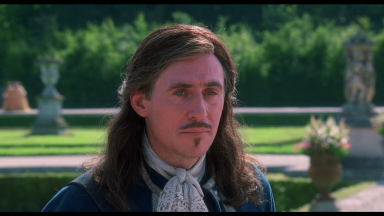 Gabriel Byrne may have cut his professional teeth in Irish theatre and soaps, but cinema made him an international name; his breakthrough leading role in Hollywood came in the Coen brothers’ gangster fi lm Miller’s Crossing (1990), a status that was confirmed five years later by the cult success of The Usual Suspects. Recently, however, he’s leaned heavily towards TV, from HBO’s In Treatment (2008), to Channel 4’s Secret State (2012) and History’s Vikings (2013). Byrne points to the ongoing power shift from big screen to small, with finance flowing out of cinema’s middle market, and writers finding more creative freedom in TV – at least on the other side of the Atlantic. “The world of film has changed hugely in the past five years,” he says. “I went to see two pictures while I was in London recently and counted four people in one cinema and 12 in the other. But, more important than that, the serious writers have moved out of cinema. “That medium-budget world that was occupied by films made for $10-20m has gone, and those writers are now in TV. So you have incredible writers working for places like HBO and Showtime – because that’s where they’re allowed to write.To a greater extent, they’re not being told it has to be this or that, or that the following people must be in it. They’re allowed to write. 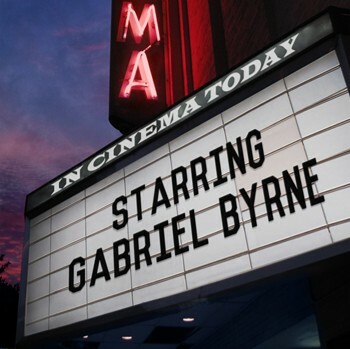 Enter the perfectly cast Gabriel Byrneas Quirke, who has already shot three of the six books with screenplays by Andrew Davies (many “Masterpiece” series) and Conor McPherson (many excellent plays). 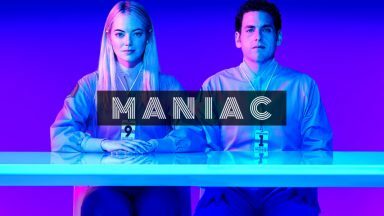 No official word yet on where it will air in the U.S. 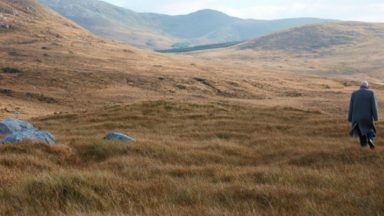 If you happen to be in Edinburgh Aug. 22 there’s a screening. Those cadavers, for example, aren’t there for CSI gruesomeness or to play off Inspector Morse squeamishness. They’re there to underscore Quirke’s own doom-ridden interest in life. “You’ve lived too long among the dead, Quirke,” he’s told. Do you have any involvement in the upcoming BBC series Quirke? 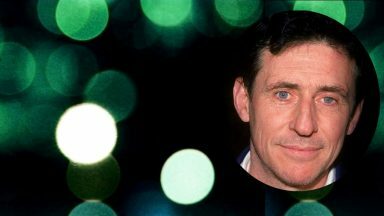 How do you feel about the casting of Gabriel Byrne as the title character? 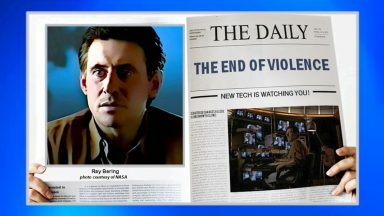 I had no involvement at all in the BBC series. The scripts were written by Andrew Davies and Conor McPherson, and I could not have asked for better than that. 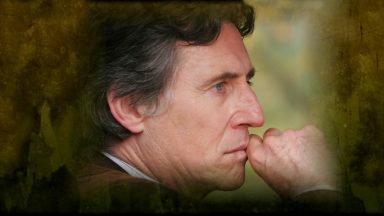 Gabriel Byrne is superb as Quirke. I’ve only seen the first episode, but he is the real thing. Overall it’s marvelously atmospheric and full of tension. And the rest of the cast is perfect. I could pick out names, but it would be invidious. Although I can say that Dublin is one of the main actors, and gives an amazing performance. 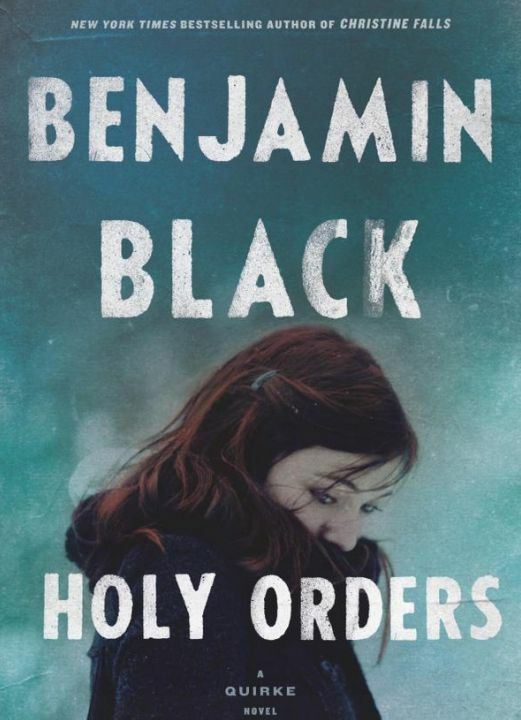 Holy Orders is available now. I have mine on my Kindle, just waiting for me to finish reading the previous one (again): Vengeance. 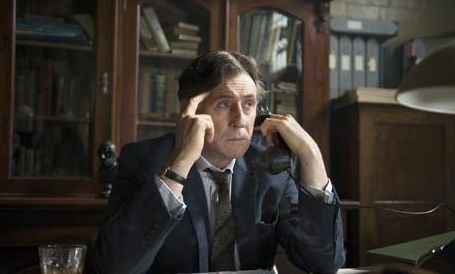 Cross your fingers that the first Quirke television series, based on the first three Black books, is a success because the next three books are humdingers and will make great television, too! You can read–and listen to!–an excerpt at the website as well. The book and the unabridged audiobook (read by John Keating) are available at Amazon and also Barnes and Noble.